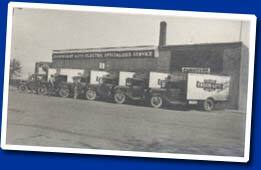 When Art Sturdevant opened his auto electric repair shop in Pipestone, MN, in 1932, he didn't realize he was creating a company that would someday be one of the leading auto parts sources for the upper Midwest. The family business has grown, and now Art's grandson Tim is President of S.A.E. Warehouse, Sturdevant's Auto Parts stores and Refinish Supply Center. When it comes to automotive parts and accessories Sturdevant's Auto parts knows what it is talking about, and they have over 75 years of experience to prove it. Sturdevant's has grown to include over 46 stores and two warehouses across the region. With over 140,000 square feet of parts at any given time it's easy to see how Sturdevant's S.A.E. Warehouse is the largest supplier of auto parts and accessories in the region. Whether it's automotive parts, body panels, paint, or an accessory for your car, truck or boat, Sturdevant's has it. Sturdevant's Auto Parts has eight stores within a 30-mile radius of Sioux Falls, and over 46 locations in the region, making it that much easier for you to get what you need, when you need it. Each location is locally owned which means doing business with Sturdevant's Auto Parts helps give back to your local community. Sturdevant's Auto Parts is the place to help make your vehicle run smoother, look better and last longer.